Sacred Lightcode Activation Healing Session. 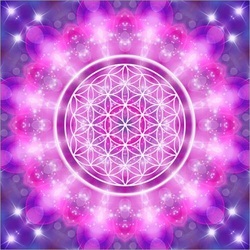 Sacred Lightcode Activation Healing Sessions are being born to combine sacred geometry patterns with sacred lightcodes from many different worlds and dimensions to open yourself up into new and profound ways. It will activate your Original blueprint of your soul and activate dorment qualities of your spirit to surface in this life that are in conjuction/alignment with your present incarnation on earth. It serves as a spiritual growth booster for your soul and spirit not only for your earthly life here but also for every other dimension/world/parallell life you live in at this moment. It is like receiving and undergoing an energetic upgrade on all levels of your existence. Hereby your soul will be able to receive deep healing energy from source energy while receiving the new lightcodes, templates and information your soul and spirit needs to receive at this moment. For who is an Sacred Lightcode Activation Healing Session ? * For all those who are high sensitive persons. * For all those who are on the spiritual path. * For all those who are spiritually gifted. * For those people who already have some experience on their spiritual journey or that are looking for a push forward. * For those who experience stagnation in their spiritual growth or were it doesn't flow fluidly. * For those interested into other worlds and dimensions. * For those who love to work with lightcodes and light languages. * For those who want to receive very deep spiritual openings. * For those who are willingly to awaken their soul and spirit fully. * For those who want to activate more qualities and talents of their own soul and spirit or wish to reinforce them. * For those who wish to deepen their knowledge and wisdom from your own paralell lives. * For all those who feel drawn to this session. * For those who are ready for the next step into their spiritual and personal growth. * For all those wishing to strengthen their personal connection towards Prime Source. * For all those wish to experience a very profound healing from out of many different worlds and dimensions at the same time coming directly from out of the essence of Prime Source. What can a Sacred Lightcode Activation Healing Session Bring You ? * It hightens your Spiritual talents, gifts and qualities. * It will help you deepen and develop your own intuïtion. * It will re open knowledge and wisdom from other worlds and dimensions. * It wil help you to use your knowledge and wisdom from many lives to lift up your earthy life here. * It gives you a spiritual boost on all levels of your existence in all dimensions and worlds you live in at this moment. * It will bring you more in line with your soul's missions. * It will bring forth better flow for your life missions and visions you have for this life. * It will help you to manifest mutiple new qualities that you are in this world. * You develop a deeper connection to all that is and with Prime Source itself. * It awakens your soul and spirit on many deeper levels. * It opens you up for ancient light languages that are still laying dorment within you. * It brings for a very deep balance into your entire being. * Your divine self will come more to the foreground in you expressing and experiencing the world. * A speedy spiritual growth that is in total alignment with your soul's plan. * You will receive more support from soulfriends that walk the same path or that resonates with you. * Experiencing a more deeper and profound connection towards Mother earth and the higher realms of Source. * Senses are highlighted and reinforced. * Your experiences in this life are feeling more profound, emotions are being felt more deeply and colors seems to feel and look brighter. * Being able to enjoy more of life. * The possibility the knowledge and wisdom you receive to pass it on towards others. * An increase of your vibration to a new higher frequentie. * Feeling totally in harmony with yourself and others. * Experiencing yourself as whole and complete into every cel of your being. * Your capacity to receive energy and of to be a channel of light is being increased and reinforced. * Your capacity to generate more love and compassion from out of your heart and soul will be heightend or being brought up to higher levels. * And so much more... Every one of these sessions are unique for the soul and spirit receiving it. Let me then be your bridge for your ever evolving spiritual growth. I AM here to help your soul and spirit, to support you to open up more wider, to awaken you to the full potential of who you are. I AM here to help you gain access to the abundance of information that is laying within you from many different paralell lives you lead at this moment. I AM here for you so that you can grown on all levels of your existence in all dimensions and worlds in the ever supportive energy of Prime Source. I know how hard it can be to search alone for possibilities and knowledge that can reach to your own wisdom and knowledge that lives deep within you, that you know is their. But you don't have to do this alone anymore. Let my soul's mission be a bridge, a pillar of support for the amount of wisdom and knowledge, talents, gifts and qualities who are still laying deep within you but didn't had access to it yet. Let my soul's mission be the key for you to unlock those doors. I AM here for you. I AM looking forward to work together with your soul and spirit. So that you can enjoy the sacred geometric patterns and lightcodes that will open your soul and spirit further on all levels of your existence. So that you may grow forward and evolve in all of your lives were you are present in at this moment.